An unknown wooden steamer scuttled off the shore of Chicago. Today the wreck is sitting upright in 70 feet of water. 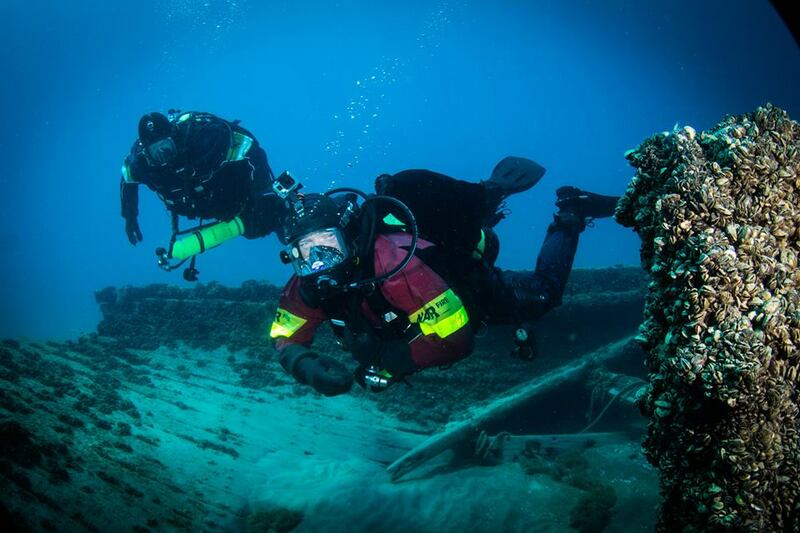 This wreck offers an opportunity to see a historical wooden steamer with a large prop.